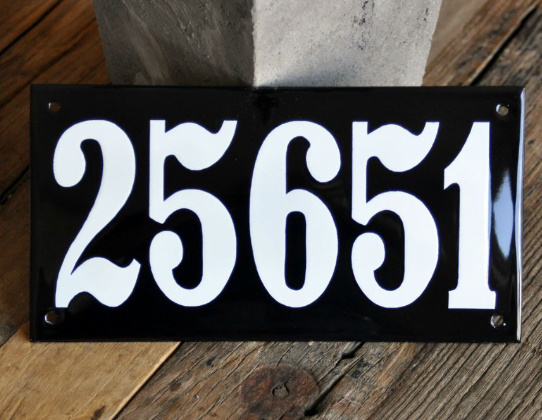 52 Mantels: Porcelain Enamel Sign Giveaway! 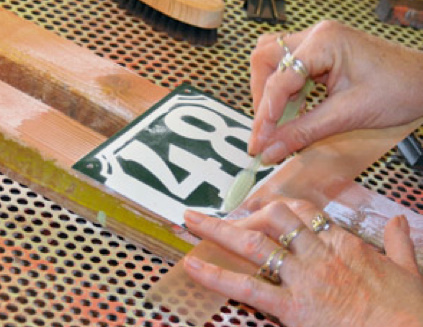 When Ramsign offered to give one of their beautiful, classic, hand-stenciled signs to one of my AMAZING (and lucky!) readers, I was super excited! Not only do I love introducing you to cool companies, I also love getting the chance to show you some true artisans. Ramsign is both! A company with a long history of quality craftsmanship AND supreme artistry. Go here to read about the history and production of these porcelain enamel signs. You will absolutely fall in love with these beautiful works of art! I'm certain one of these custom, handmade signs would look great on your house! And, Ramsign will let the winner pick out any house number sign (1-5 digits) in any size from any of their designs. Then they'll manufacture the sign JUST for you in their genuine glass enamel and stenciling technique that dates pre-WWII. How cool is that?! Oh, and they're going to ship it to you free of charge, no matter where you live! **Ramsign is a Danish company who sales worldwide, so even my international readers are eligible for this giveaway! 1) You must follow 52 Mantels on either Facebook, Google Friend Connect, Feedburner or Twitter and leave me a comment telling me so. Already a follower? Cool! Just leave a comment telling me that! You can get 4 separate entries if you leave me a comment for each of those. You can leave a total of 5 comments for 5 entries into this give-away! **I do allow anonymous comments, however, if you leave an anonymous comment, PLEASE also leave an email address! And, your entry comments do not need to be in English, but again, leave an email address so I can notify you, should you win! **No entries accepted after Wednesday, January 11th at 2300 (11pm) CST. I'll use the random number generator via random.org to determine the winner and announce that person on January 12th! I alread follow you on GFC. That should have said "already". I'd pick the Highlander, too!!! 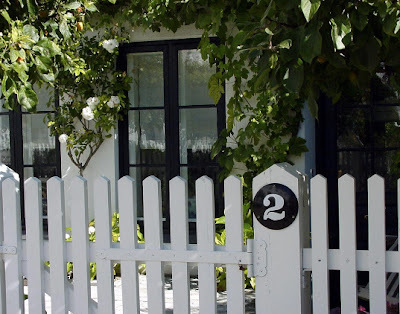 I visited their site and I love the house number signs. I follow you with feedburner. I am a die-hard sign lover! And I love your blog. I go to it first thing every day. I tried to see what feedburner is by clicking on it but it looks just like your blog page. Lol. Sometimes I feel so old. I visited the Ramsign sight and I like Highlander the best. I love the one with the family name and address. Very cute! I like 52 mantels on facebook. I am a friend on Google Friend connect...at least I think I am. I am following you through blogger. Is that the same thing? I think my favorite sign is the Highlander! Although all enamel signs are gorgeous! Also a Twitter follower now! Engelhardt ranks right up there!! (Having trouble with facebook today, I clicked like several times and confirmed it several time but the button still remained there. so if it did not go though, let me know and i will like it again. Highlander is my favourite style. I liked 52mantels.com on Facebook (Deborah Rosen). I followed with Google Friend Connect. My favorite is the Metropolitan Arched Address Plaque. I liked 52 Mantles on facebook as Susan Chester. I follow 52 Mantles on GFC as sweetsue. I like the Arrowhead Housenumber sign. My favorite Ramsign is the Metropolitan - that blue would look great on our house! I love all the signs, but my favorite is the Arrowhead! I love the Metropolitan and the Highlander! I like all of the styles but Metropolitan the most. I love the white signs with black writing. Is that Highlander? I already forgot the name but I like their story. I want to win this or I may have to buy me one...teehee. I Like 52mantels.com on Facebook ヅ *Thanks* for the giveaway! Subscribed to Feedburner in My Yahoo! I like the Highlander, it seems to be the one. I followed 52 Mantles on Facebook. I love the Metropolitan style. Glad to find out their site. I want to order a new house number! Thank You! Emily, thanks for the opportunity to win this beautiful sign! I am already a follower. I visited Ramsign and I love the Highlander square or the Highlander Oval! I follow 52 Mantels on Facebook! I follow 52 Mantels on GFC! I subscribe to 52 Mantels emails by Feedburner. I like the Arrowhead design because my house is light green! I think the Highlander is my fave!! I love love love the highlander circle one...so cute!!!! like the rectangles too though! but def the highlander! Already a follower! Great giveaway!! Definatley love the Highlander Oval Address Plaque!! I have been wanting something like that for a long time!! !